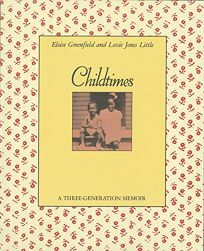 The loving, snapshot-like reminiscences (``Getting Baptized''; ``Learning the Hard Way''; ``Horses and Cows'') of three African American women are embellished with family photographs and evocative drawings. Ages 9-11. (Jan.) This heroine bristles at the suggestion that she needs more than Tsugele's Broom (HarperCollins/Geringer ).